The Watson BP-208 Lithium-Ion Battery Pack works with the same cameras as the Canon BP-208. 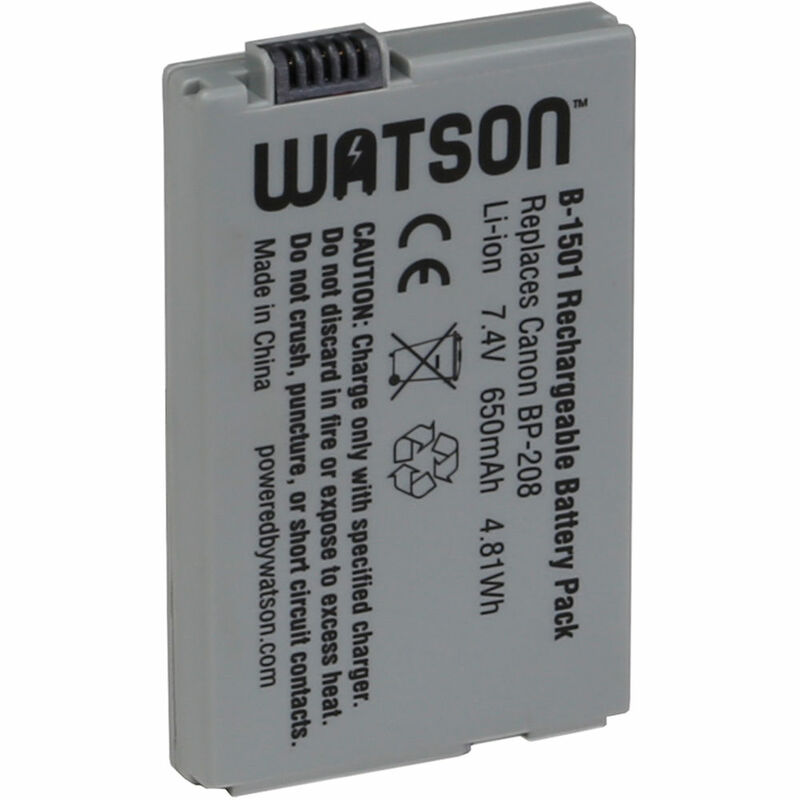 This replacement battery pack features a capacity of 650mAh, 7.4V of output power, and 4.81 watt-hours. Small and lightweight, lithium-ion batteries can be charged or discharged at any time without developing memory effects. Box Dimensions (LxWxH) 5.3 x 3.0 x 0.9"